You spelled a word wrong that was actually in the image you are commenting on. Actually, this isn't Engrish... it's Latin for "Cassia-seed". 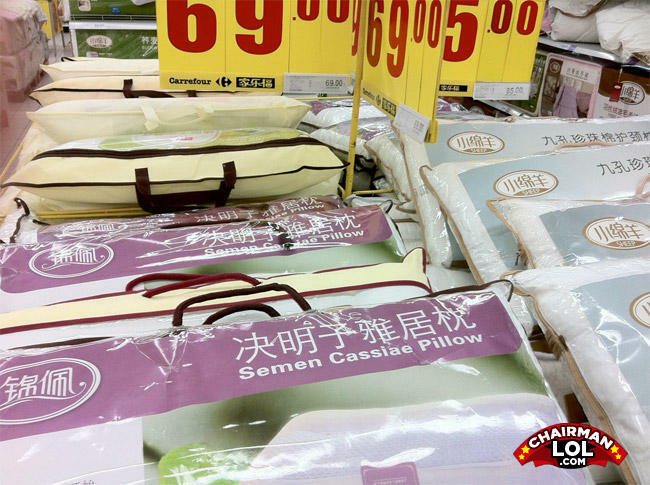 I don't know why one would want Cassia-seeds in their pillows, though. Why was the little girl crying? Because she was hanging upside down from an oak tree. No, because I was already dead.